Rand & Co - Builder, Shop Fitting based in Littlehampton, West Sussex. Traditional Builders, with traditional values, managed in a traditionally personal way by a Father and his Sons. 30 Years’ experience as a Carpenter and 20 Years’ experience in managing my own Building company, which employs full time tradespeople. Rand & Co will provide a professional service, with a personal touch, whilst consulting with our clients to adapt to their requirements through the duration of the job. We project manage every job, big or small, organising all the necessary trades from our full-time staff. We designate one of our trade experts to take you through each stage of your project so that there aren't any co-ordination issues. 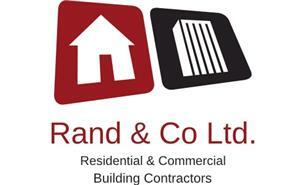 Thank you for considering Rand & Co to carry out your project. A 25 mile radius from Brighton to Portsmouth and up to Horsham.